Retailers to Amazon: Why Can’t We Be Friends? In the last month, Amazon announced its decision to purchase Whole Foods, unveiled Amazon Go convenience stores and hosted another successful Amazon Prime Day which broke sales records.The continued dominance of Amazon has many retailers scared of falling victim to the online behemoth in what many are calling “The Amazon Effect.” In fact, according to a recent report on the topic, 56 percent of retailers believe Amazon’s presence in their markets has increased in the past two years, signifying a new threat that many retailers didn’t see coming. But instead of the focusing on the doom and gloom discussions surrounding the retail industry, it’s time for retailers to stop thinking of Amazon as the enemy and start thinking of them as a distribution partner. Most retailers can’t compete with Amazon, but they can coexist with the retail giant. Just look at Nike, which exemplifies a big brand that is smartly using Amazon’s reach instead of fighting against it. In June 2017, Nike reversed its long-standing policy against selling its products directly to Amazon and worked out a deal to turn the online giant into a distribution partner. Nike, like many other retailers, realized that it could continue to ignore Amazon, but that if it did, the vast trove of unauthorized Nike products sold on the site would only grow (and they would see no revenue from these sales). In an effort to regain control over the online availability of its products, Nike ultimately decided it would be better served by selling to Amazon for resale. In return, Nike extracted concessions from the online retail giant, gaining a commitment from Amazon to police the site for unauthorized sellers of Nike merchandise and to prohibit the sale of certain products. Many retailers across industries now face a similar conundrum: Do they ignore Amazon at the risk of allowing a network of third party distributors to sell their goods on the platform or do they integrate Amazon into their corporate distribution strategy to better maintain control over third parties? This will be a particularly interesting question given Amazon’s decision to roll out a Fulfillment by Amazon program, which allows marketplace sellers to store and ship goods from Amazon warehouses (while currently waiving its third party seller fees). Even Amazon has learned that there’s benefits from these partnerships, like always having in-demand items in stock and owning the distribution channel for its partner brands. The question will be: Will they offer this partnership to any and all brands or just those with significant consumer following, like Nike? Wholesale: Amazon buys the goods from retailers, sets the prices and sells the products to consumers directly. Fulfilled by Amazon (FBA): Retailers still own the goods, but Amazon handles the product listing and fulfills the orders. Amazon Marketplace: Retailers handle everything on their own, including listing and shipping their products. Beyond selling goods on Amazon, retailers might also consider advertising on Amazon (an ideal option for those brands that are still wary of selling through the online giant). This option has proven particularly appealing to luxury retailers like Burberry, many of which don’t sell on Amazon but do advertise on the site in an effort to reach its millions of customers. This advertising approach is a particularly intriguing opportunity considering the SEO and SEM power of Amazon. While retailers should absolutely consider partnering with Amazon, it’s important to keep in mind that success won’t happen overnight. Just like with Google search results, getting listed on the first page of Amazon requires time and money — but once products do get that coveted spot, it’s much easier to hold onto. Of course success on Amazon isn’t just about putting in the necessary time and resources. It also requires a mindshift, both in terms of how retailers move product and how they approach any relationship with Amazon. In terms of product strategy, because success on Amazon takes time, retailers are best served by selling more evergreen products through the retail giant (rather than switching out products on a weekly basis). For retailers whose businesses rely on an ever-changing product catalog, many would be best served selling their core, evergreen products on Amazon and using that traffic to boost brand awareness and pull customers to their own site, where they can push more seasonal products. Looking at the relationship with Amazon that can bring all of these strategies to life, many retailers will need to embrace a total mindshift. And this mindshift applies not only to viewing Amazon as a partner rather than a competitor, but also to how retailers actually work with Amazon and set goals for success on both Amazon and their own eCommerce sites. At the end of the day, whatever that mindshift means for any given retailer (be it selling on Amazon in one form or another or advertising on Amazon), retailers need to stop thinking of Amazon as the enemy. 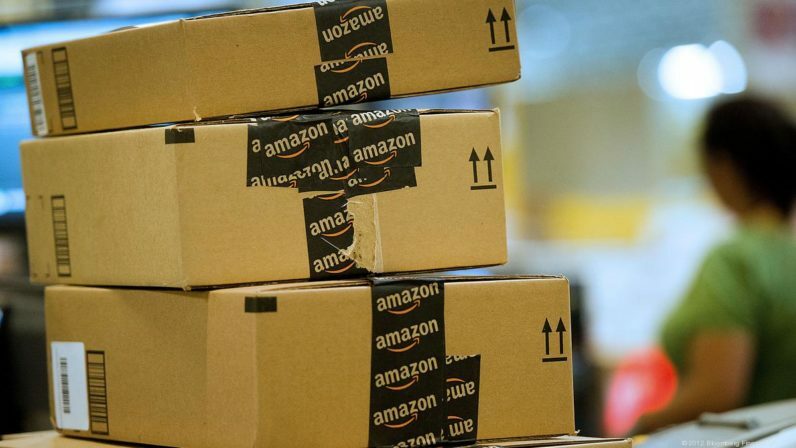 Yes, Amazon might be a competitor in some respects, but it can also be a valuable distribution partner that connects brands with millions of consumers. And as Amazon continues to invest billions of dollars to grow even bigger, most retailers will be best served by following the age old mantra: Keep your friends close and your enemies closer.